It is recommended to use a Mercury Marine Service Manual as reference before starting and during any service or tuning activities. PRO BOATS has in stock Mercury Marine Service Manuals available at a 10% discount. 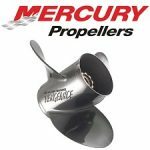 We can answer questions about Mercury Marine Engines & Drives Only. Outboard engine models vary in specifications, including same horsepower engine in same model year. Mercruiser engines mostly have GM casted & machined engine blocks but they are manufactured differently than automobile engine blocks and internal & external components are marine application not automobile. Please complete and submit the online form below.